May buy any quantity. May redeem any quantity for groups. All scuba gear included. Snorkeling gear not included. The class is approximately 1 hour. Expires 4 months after purchase. See the terms that apply to all deals. 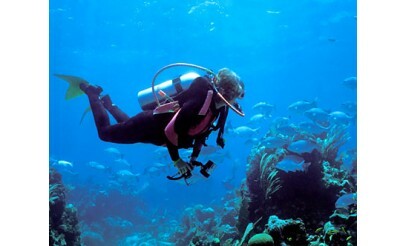 While this is not an actual scuba certification, during the Discover Scuba Diving experience, you’ll learn how to use scuba equipment in shallow water and get a quick and easy introduction to what it takes to explore the underwater world. North American Divers loves to dive and loves to share it with others. Whether you are new to the underwater adventure or a seasoned professional, they will share their enthusiasm for this amazing sport with you.